If you’re planning on keeping your car for the long haul, it goes without saying that protecting its exterior paint ranks high on your list of concerns. 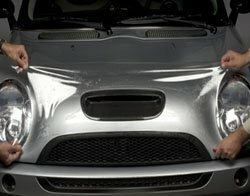 For those seeking a bit more than traditional clear coat coverings can offer, having paint protection film installed is an outstanding way to add an even greater level of protection between your vehicle and the elements. Here at The Tint Shop, we’re an authorized 3M™ paint protection shop who takes great pride in the quality and integrity of every project we take on. Here are just a few of the benefits of protecting your vehicle with 3M protective paint film, and why we’re the best place to have it installed properly and affordably. 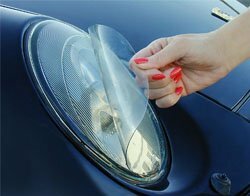 If you’ve been considering new ways to protect your vehicle’s exterior paint, do what so many others in the area have done and call the specialist at The Tint Shop in Rochester. We’ve been honing our process for years and use only the very best 3M materials to ensure the best possible application. 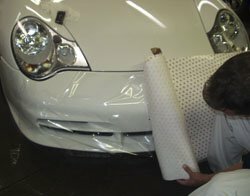 Paint protection films can be installed quickly and affordably, and we do a thorough quality assurance inspection to ensure that not one aspect has been overlooked. It’s an easy way to get more peace of mind on the road, and can help ensure strong resale value should you decide to sell. Call The Tint Shop today at (585) 232-8468 for more information on our 3M auto paint protection services, or get started today by scheduling an appointment.